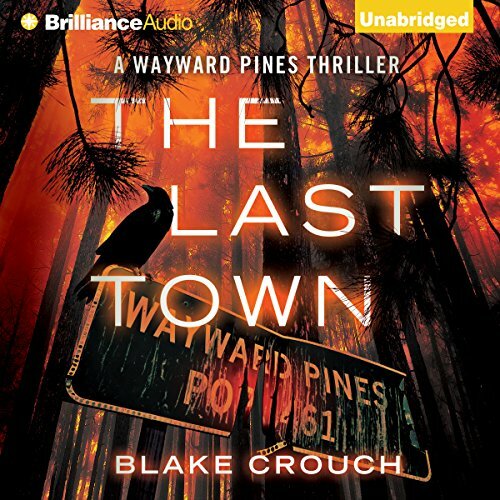 Blake Crouch's electrifying conclusion to the Wayward Pines series - now a major television event series debuting in 2015 on FOX. ©2014 Blake Crouch; The Holy Bible, New International Version, NIV © 1973, 1978, 1984, 2011 by Biblica, Inc. Used by permission. All rights reserved worldwide. (P)2014 Brilliance Audio, all rights reserved. Hope we get another one! 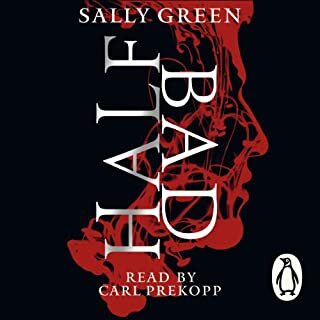 Was not sure at the first of these books but got totally hooked and now will be watching for another in the series. Want to know what happens next! For me, 'The Last Town' was frustrating read, with too much sudden exposition, random character backstories and other such nonsense filler that served as nuisance obstacles in my quest to simply just finish the trilogy and find out how it all ended. What could Blake Crouch have done to make this a more enjoyable book for you? I am issuing a minor spoiler warning here. Just like 'Wayward', this book finishes on a cliff hanger. I am not opposed to this as a thematic device, however, in this instance, it just felt like a lazy attention grab at the last moment. In addition to this, Ethan, the main character in all three stories, has been transformed in 'The Last Town' into this laughable, machismo, Bruce Willis 'Die Hard' wannabe, action hero. There is little semblance of the desperate and scared Secret Service agent that I really liked and could actually get behind in 'Pines'. 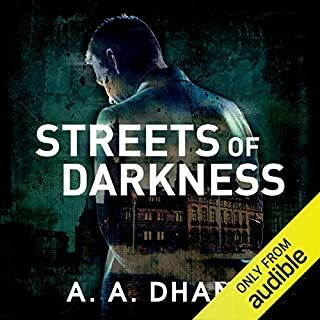 In this third instalment, Ethan is so gung-ho to the point where it is off putting to everyone apart from all of the other characters in the story, who seem to be enamoured and infatuated with him and his actions. The characterisation was lacking in this story and I missed it. Crouch puts more depth into the guns, weapons and vehicles he describes in 'The Last Town' than he does his characters. There were also some small continuity issues present here, which I kept expecting to be resolved and never were. What three words best describe Paul Michael Garcia’s voice? I might check out the Fox TV adaptation, but I hear it is quite different to the books. If 'Pines' had been a standalone book, I would have been seriously impressed. However, Crouch felt the need to give us two more stories about this quirky little, Idaho town, which I feel were unnecessary and unearned. Where 'Wayward' just about to maintain a 'meh' level of interest throughout , 'The Last Town' failed to achieve even this. It was not the ending I expected, nor wanted, with characters that has become two dimensional parodies of themselves. If you like action orientated novels, then this conclusion might be for you, but it was not all that for me. If you could sum up The Last Town in three words, what would they be? When I read the first book I was completely bowled over by it. It was so consuming, different from anything I had ever read before. 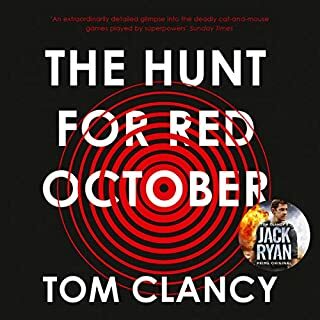 I eagerly awaiting the next book but found it very disappointing as a lot of the book just reiterated what had happened in the first. The third book however did not do this, it just carried on from the second and I enjoyed it immensely, straight down to business. So basically you have to read the books in order otherwise you will not be able to follow the story. The whole concept and the humane emotions involved. What would you do in this situation. The end, where you realize there could yet be another book. It is full of intense emotions. 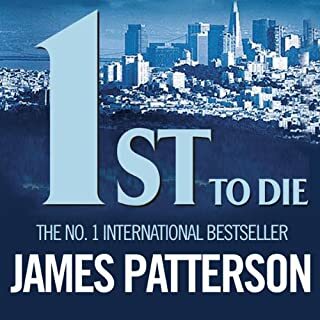 If you read the first and enjoyed it but found the second disappointing as I did, do not hesitate to read the third it is much better thought out. I also hope there will be another book but hopefully a bit longer in length. This is the final chapter of a 3 part series. If I had to describe it in 3 words it would be - good, interesting and weird. I thought that the pace and story would tail off at some point in the trilogy but it didn’t. 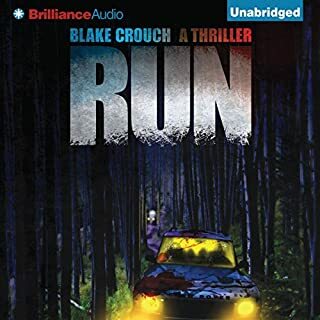 Blake crouch is fast becoming one of my favourite audible listens. One of the best series of books I've ever read. I really enjoyed it. I'm glad I didn't watch the TV show first as it can't be better than the books. Couldn't recommend it more. 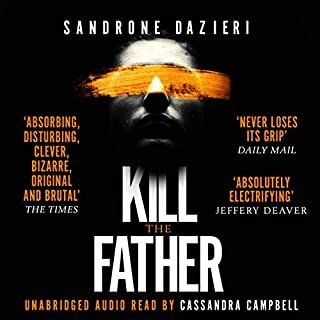 Loved it - great ending. Was held in suspense at every step along the journey, couldn't help but wish there was a 4th book. What would have made The Last Town better? The first two books in the 'Pines' series were well written and fun to read, good old page turners. I've been looking forward to 'The Last Town', but found it to be very poor in comparison. There's lots of description about guns e.g. ammunition types, which kind of guns are suited to certain situations. The story and characters come over as nothing you care fore. It is like the author has lost interest. Also, it is very short. 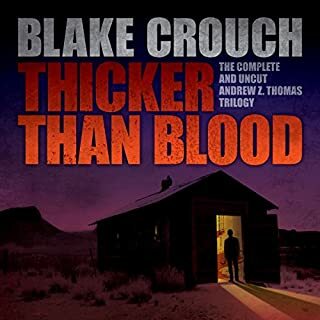 Blake Crouch seems to have lost interest in the characters he created and the story. I imagine it didn't take him long to write this book. The format has changed too, now providing a little detail about a lot of characters. Looks like it has been written for TV, but unfortunately it doesn't make for a good read. 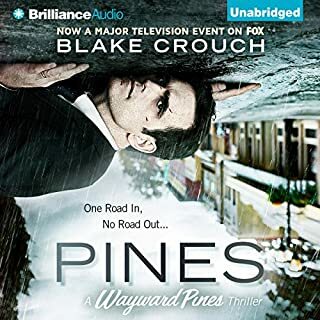 Dear Blake, if your going to write another book about Wayward Pines, forget about the TV series, write like you used to and have fun with the people and story. The story still chugs along but not nearly as clever as the first in the series. I found myself cringing at the dialogue cliché after cliché and annoying back and forth conversation. Some continuity problems too. Ended on an annoying cliff hanger which worked to get me to get this book but I don't see myself getting the next one. excitement and blood with the odd monster. A grpping and gory tail of survival and how not to live life in the future. 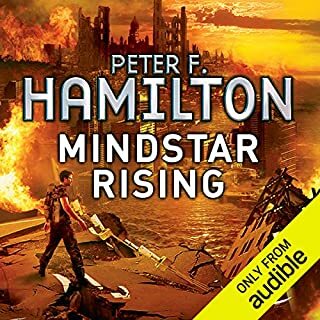 Not trying to harp on this ONCE again, but this trend of people POORLY rating audiobooks that came out less than 2-3 hours ago is RIDICULOUS! 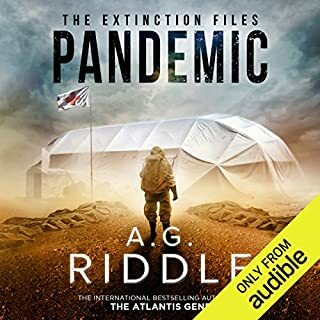 Not only is it UNFAIR & MISLEADING to the publishers, the Audible site, the author (likely trying to support themselves financially)...but MOST importantly, us the CONSUMERS. 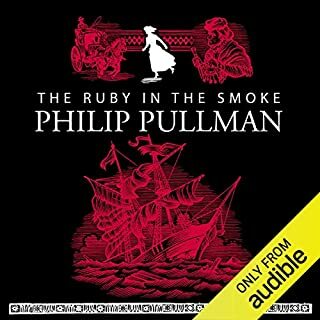 I listen to around 4-5 audiobooks from Audible PER week, so I understand getting a DUD of an audiobook now and then. 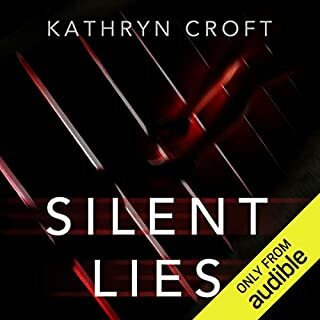 With Audible's No-Hassle Return Poiicy in effect, there is NO reason to poorly review a book based simply on first impressions, and that you have NOT completed (since cramming a 6+ hour audiobook into 1-2 hours is impossible last time I checked). 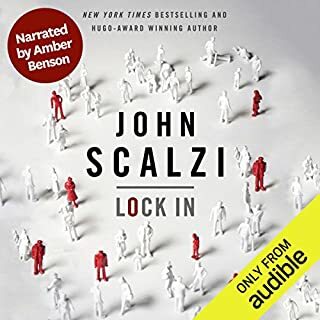 If you are like myself, the most IMPORTANT aspect of whether I use a hard earned credit on an audiobook, is BASED on the REVIEWS...There is a reason Audible's rating sytem is starred in 3 distinct areas; to allow a FULL and knowledged review of the ENTIRE production. There is NO star-rating category for anything like "first minute impressions" or "How good was the INTRO" lol. If you dont like the book after an hour, FINE. If you know the narrator isn't great early on, FINE. But don't come handing out ONE-STAR ratings in categories you HAVE ZERO ground to give out...you MIGHT be able to rate the "perfomance" but your creidbility to rate the Overall & Story categories is NULL in any case...because you did NOT finish the BOOK! I'll preface this review by stating that I'm assuming that you've read the first two books in this trilogy. "The Last Town" is the final book in the series and I can't recommend it as a standalone novel. With that out of the way, I can report that this book closed off the series nicely. Mr. Crouch is a very talented writer who knows how to make a reader empathetic with his flawed characters. Mr. Garcia, who has been retained throughout the series, continues with his flawless performances and greatly enhances the audible experience. I think my greatest criticism for the story is in the form of "bad science". While laying out what appears to be a plausible story line, he author conveniently overlooks issues such as the unsuitability of matter over time. This is at odds with his careful explanation of other details, and is all the more glaring as a result. Other inconsistencies also pop up. As an example, they paved the roads of the Town, implying access to heavy machinery, yet had to hand dig a mass grave. In the end, these little things annoyed me a bit. That all being said, it was a very entertaining book to close off a very good series. While "future horror" might describe the genre, the book does make you think about the possible future of the human species. Please tell me there will be a book four. I have to know what comes next. If you have't read any of this series yet, what the heck are you waiting for? It's got love, hate, loyalty, betrayal, murder, monsters, yes...monsters, and if that is not enough, it's got time travel. This is the first series I've read straight through, not wanting any other tale to interrupt the flow. 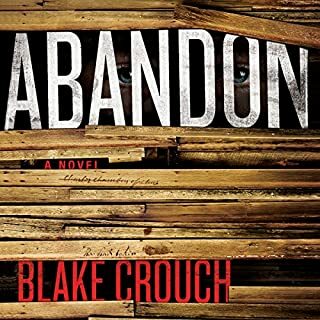 Blake Crouch just jumped to the top of my "best author" list. If you want a glob of icing on top, listen to the audio version. The ending left it open to the imagination, and I kind of liked that. The story was a little weird though, with the odd love triangle that formed. But in the end, it wasn't too over the top. The first 2 books were brilliant. Too bad the bigger part of this book was blood, killing and more dead bodies. Only the last few chapters were good. But overall a good 'ending' of the story arch. And yet again a great performance. Book One and Two were great books and I wrote glowing reviews on them. This is not a terrible book, but there are no mysteries solved. This is an action packed result of book two and one. This has lots of gore and violence as is a trademark of Blake Crouch. I did not like it as much, as it lost it's Twilight Zone, Outer Limits feel to it. This is an average book made a little better cause you know the history after reading the first two books. 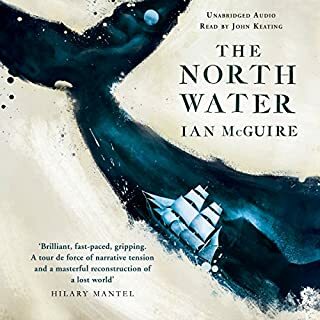 The narrator has a soft voice with a lilt at the end of his voice, which I am not sure I even noticed in the first two well written books. It was distracting in this one. I must answer to another reviewers' rant. First, what most people do not realize is that some customers get a crack at books before others. It only happened to me once. 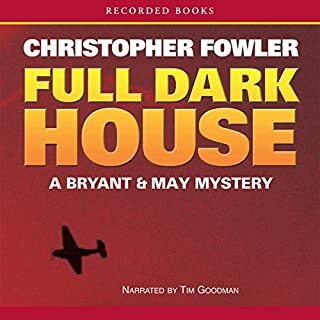 A couple of years ago, while on the site I got a text from audible, about the amount of reviews I had written and how that was helpful to others and then they offered a list of books that had not been released yet and I got to pick one for free. As Jim The Impatient, I feel strongly that my time and money are valuable. I feel an author should have something to say in each and every chapter. I loath a writer who fills his books with fillers and boring nothings, just to make his book longer. If I do not finish a book I usually will mention that in the review, so you know and you can decide. To me negative reviews are more important then flowery reviews. I want to know before I spend my money what I am in for. The reviewer should try to not be hateful, but list why he/she was not happy. The consumer is the most important. It is there money. I do not follow people who love everything they listen to or hate everything, I just want honesty. 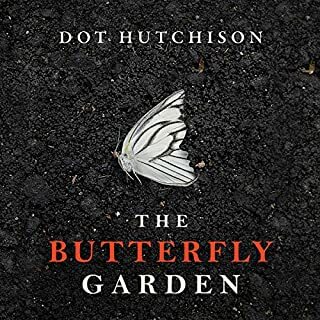 I work very hard on my reviews to give you a feeling of how I felt while listening to the book, so then you can decide based on my review and others. I trust you to write an honest review and will read several reviews, leaning harder on those I follow, who have proven that there tastes are similar to mine. Yea, you can get your money back, but I am a big boy and if the reviews and summary are honest and I still don't like the book, I just buck up and take it. I have been a member for years and I think I have returned two books out of hundreds I have bought. 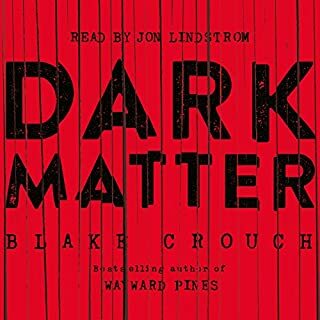 I enjoyed the series,overall this conclusion was good, but left me wanting more. I feel it did wrap things up nicely but the author could probably do more books if he wanted, and I certainly would like more. As always the narrator was great and Ethan certainly handled himself well. If you read the first two, keep it going. A very entertaining story, but too many times I had to suspend my disbelief. Too many times, I questioned "why?". Like: Why not tell the people what was going on? Why all the elaborate hidden surveillance? Why have them engage in ritual killings? I know there were rather weak reasons given for these things, but I really had to put all of it aside and just go with the story. And if the mad scientist's purpose was to repopulate the Earth, then why wasn't there any emphasis of pregnancies? It seems they certainly had no qualms killing lots of people. Wouldn't they be concerned about the gene pool reduction? Don't get me started, I just have to go with the flow. I became attached to the Wayward Pines series after the first two. This book was a bit of letdown, mostly because I found the sequencing of events (between pre-suspension and post-suspension), for example, with a chapter that begins "five years earlier." Earlier than what? The story is good, but lost its way it a bit this time. I am sorry to hear this series come to an end. If you’ve read the first two books in the Pines series you must hear how it all ends. A memorable, action-packed and thought-provoking story.